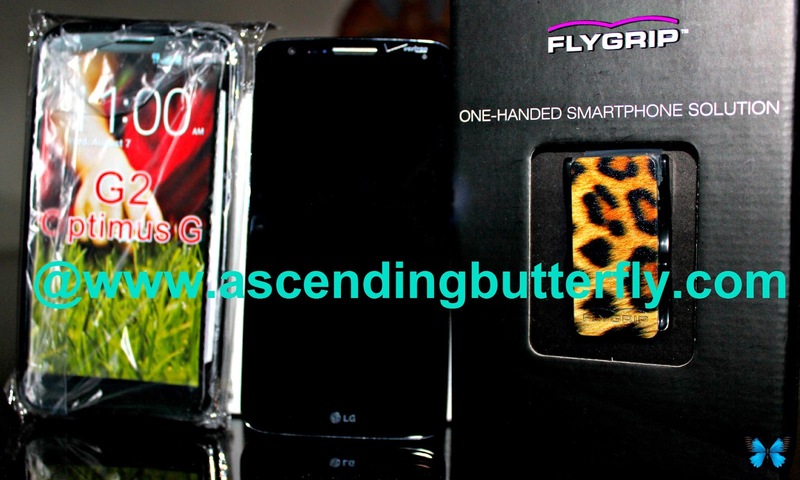 Ascending Butterfly: Buy your #Smartphone, #Tablet or #ebook reader a @FlyGrip - Trust me, You NEED this! Buy your #Smartphone, #Tablet or #ebook reader a @FlyGrip - Trust me, You NEED this! Remember when I told you that the Get Geeked Tech Conference in New York City introduced me to a ton of cool new stuff? If you forgot what or didn't get to read about the conference when I first posted about it, check it out HERE! One of the coolest products I got to lay my hands on at the conference wasn't even the most expensive, and while I thought it was a neat idea during the demo, it wasn't until I lived with it and played with it daily that I got to understand just how invaluable the FlyGrip really is! It really is one of those things that make you wish you thought of it first! It helps you use your favorite smart device easier AND better. I am holding my smartphone upside down with fingers inserted in the FlyGrip which allows me a free hand! I got the chance to try out quite a few devices this year from cellphones to tablets, once I decided that I was sticking with my LG G2 for awhile, I wanted to invest in accessories that would help me protect it, but the fact that the FlyGrip not only protects my device, but makes using it easier and much more fun and comes in a range of colors and styles to match my mood and express my personality is a great bonus! And by the way they do offer butterflies, but I couldn't resist the animal print against the chic black cellphone cover! I can tell you that after you use it, you will want one for ALL of your smart devices! This is the perfect holiday gift for everyone on your list! Let's face it, who on your list doesn't have a smart device of some kind? And as a former Special Ed Teacher, I can tell you I would rather have this than an Apple! This is a gift idea that won't break the bank, and that the recipient will always think of you daily with love! If you are giving someone a smart device for the holidays, pick up a case and FlyGrip to go with it as the stocking stuffer! FTC Disclosure: I was provided with a FlyGrip and Cellphone case for Editorial Consideration. All opinions are 100% my own. I am disclosing this in accordance with the Federal Trade Commission 16 CFR, Part 255 - Guides Concerning the use of endorsements and testimonials in advertising, you may visit our full giveaway and disclosure page for complete policy information. Hummmm seems a little weird but I'm game .. The idea of a free hand and keeps my phone safe we'll see !